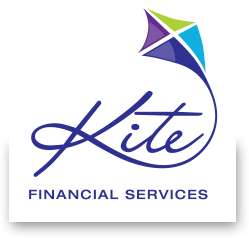 Kite Financial Services – helping you protect your most important assets. While many people insure their home, car and possessions, it is even more important to make sure your family and lifestyle are protected from financial misfortune. Without a regular income, it can be a challenge just paying for everyday household expenses like groceries and power bills, while ongoing mortgage repayments or school fees can quickly eat away any savings. Worse still, if you’re self-employed and can’t work because you’re ill or disabled, you could be faced with the added pressure of the business bills rolling in. While car and home insurance are relatively straightforward, personal risk cover can be complex, with many different options and levels of cover to choose from. We can help you decide which cover is right for you and what issues you need to consider. For example, which family members would you insure? When does it make sense to insure a non-working spouse? How should the benefits of any payment be distributed? What benefits are available within your superannuation scheme? What are the tax implications of taking out insurance? To find out how we can help you safeguard your financial future, call 1300 695 830 or email us.